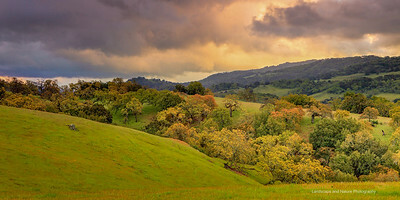 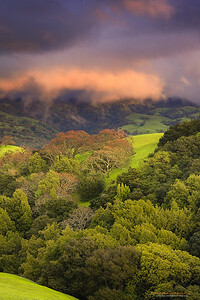 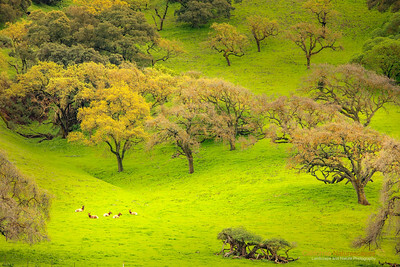 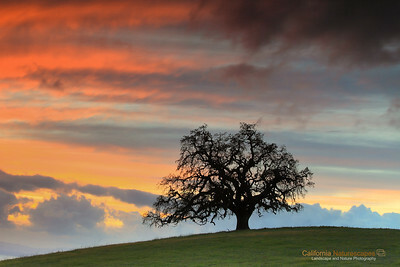 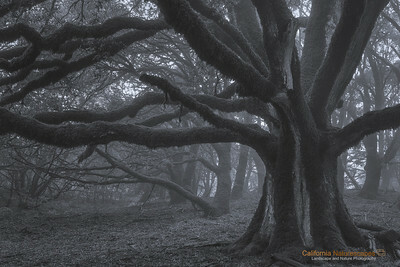 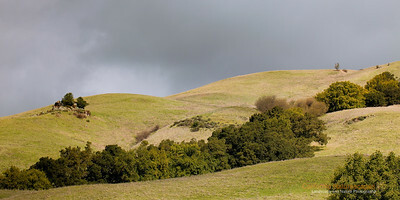 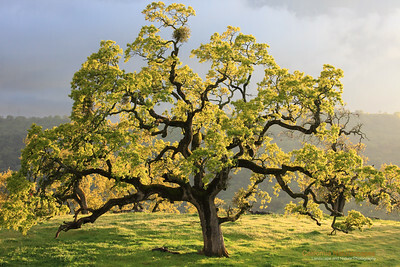 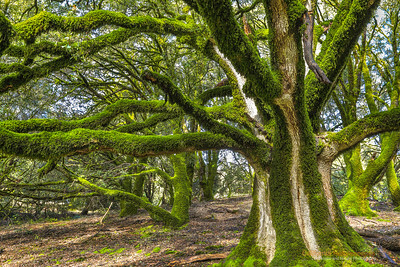 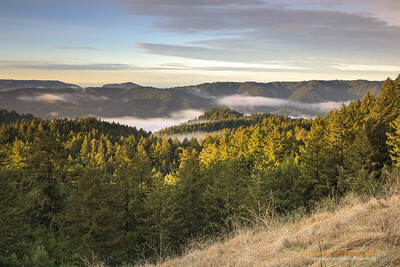 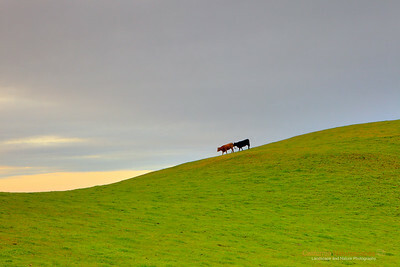 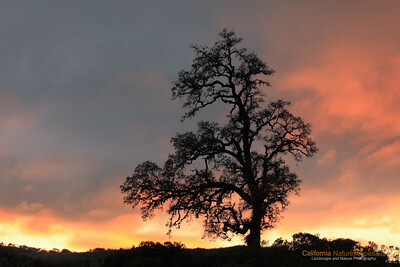 "Undulating hills and Oaks of California Landscape" Location: Joseph D Grant County Park, California. 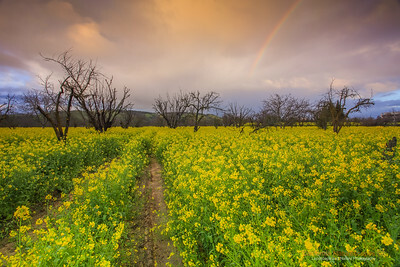 GPS: 37°20'4" N 121°41'56" W Just after the rains, when the colors were deep, air was fresh and clouds were dramatic I realized it would be difficult to catch this moment again. 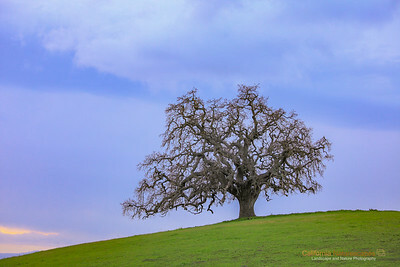 So I stopped and made this image by the roadside. 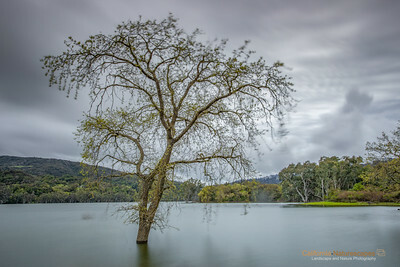 Tech Info: Lens: Canon EF 24-70 f/2.8L @50mm Camera: Canon EOS 5D Mk II Exposure: 0.5sec at f/13 and ISO 200 Filters: LEE ND Grads to balance the light of the sky and foreground Note on processing: I processed this image in Adobe Lightroom 4. 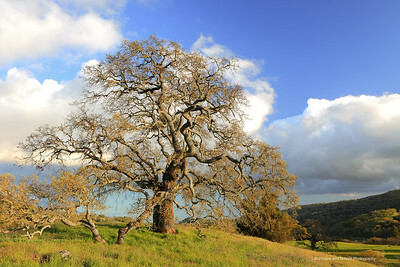 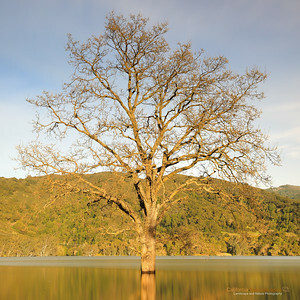 These days I find myself using digital graduated filters a lot. 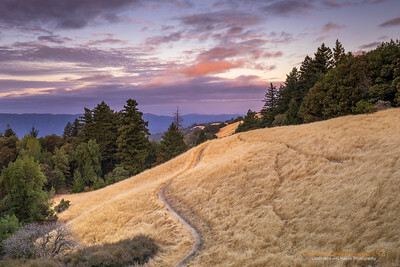 I experiment with tonal changes, color contrasts and even color temperature changes to obtain a look of the image that resembles with how I remembered this place. 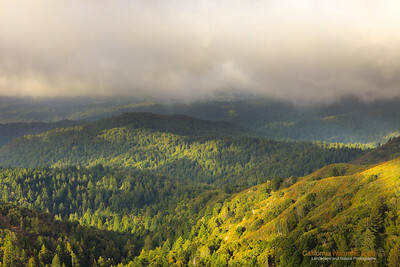 But essentially the processing involved exposure balancing in all areas of the image, saturation changes, and local dodging and burning. 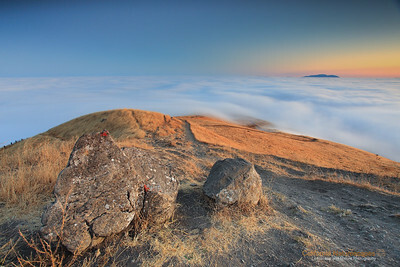 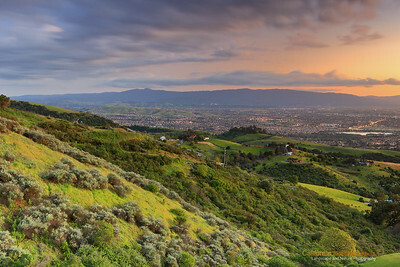 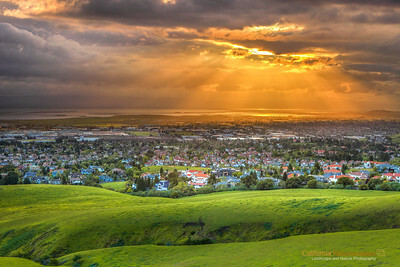 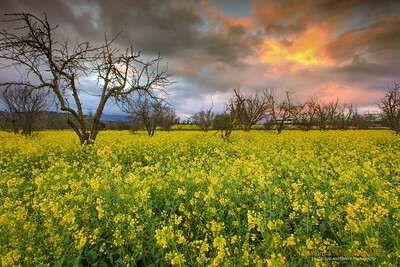 "Mission Peak" Location: Mission Peak Regional Preserve, Fremont, California.